The agency said it has to depend on DoPT, CVC, Home Ministry and Ministry of Law for its different needs. The CBI Saturday made a presentation before Minister of State for Personnel, Public Grievances and Pensions Jitendra Singh during which he was told that the perception about the agency enjoying autonomy is “misplaced” and the organisation has to face multiple hurdles in its day-to-day functioning. The CBI had first decided to keep the presentation confidential but the details came out after Singh insisted on interacting with the media. However, journalists were shown only a part of the presentation. Realising that there were some uncomfortable facts in the presentation, the CBI authorities asked the media to leave the venue. The programme, termed by the minister as “introduction” with the agency officers, was held in the conference room at the CBI headquarters where only agency’s officers and the minister were present. In its presentation, the agency cited financial crunch as a result of multiple layers of decision-making. 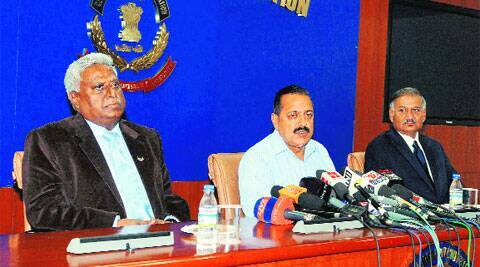 The CBI said it has liabilities of over Rs 47 crore besides over 500 posts are vacast. It told the minster that even the CBI Director has little role to play in the selection of its senior officers as he is not a member of the selection committee and remains present there as an invitee with little value given to its suggestion. Singh told the media that “we are trying to know various aspects of the working of each institution including the CBI. This visit is also meant to acquaint ourselves with each other and to know each others requirements, each other’s problems and to find out how best together we can improve the functioning of important institutions like the CBI and also enhance its credibility”. He, however, refused to comment on the autonomy of the agency and said whenever the issues come up, “structured views” will be taken “at appropriate time”.